Graveyard Rebellion come join the fight. 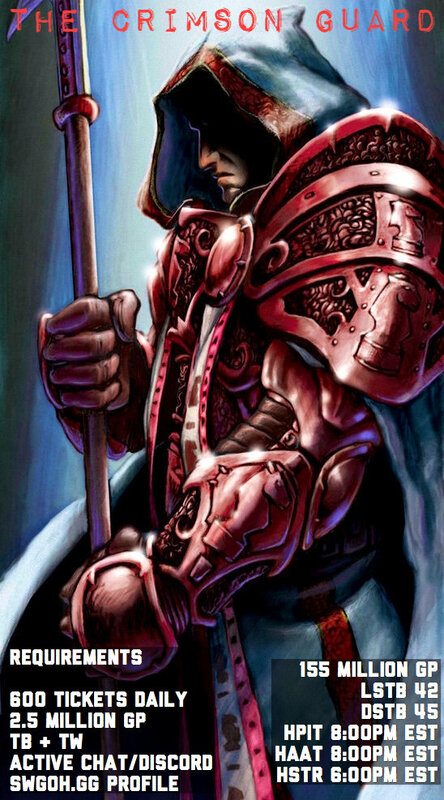 We are an active guild committed to growing stronger , need more active members for TW. We are based in the US. Guild reset time 6:30 pm Mountain time. We do HPit raids, AAT Tank raids, and Tier 4-5 Sith raids. To gain rewards from heroic raid. Come join the fight today !!! MidiChloriansTH is a GMT +7 Guild with majority of members from ASIA but we also have a number of players from around the world. We are a 180 m Guild who place at 44/45LSTB ,47/48DSTB and we win about 90% of the time on our TW. We have a fair set of rules which favor both new and existing members. We have a 24-hours “registration period” for all of our Raids. 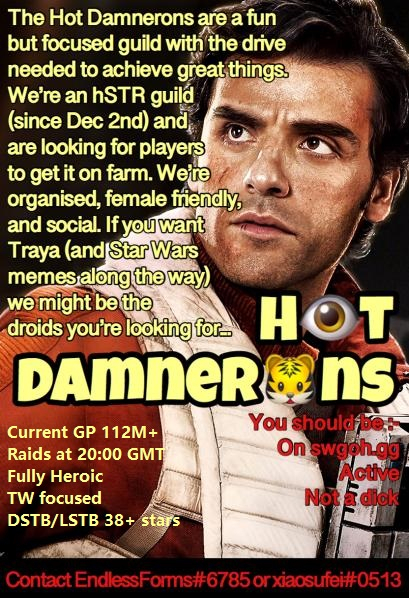 Looking for a new guild? Active and productive but still want a casual feel? THE SENATE is a family of guilds that supports players at all levels of play. We are a community of resourceful, experienced players who strive to grow and develop ourselves and our peers to achieve great things! Whether you are a new player looking to get guidance on how to develop a solid roster of Heroes, or an experienced player hoping to reach a higher tier of play with like minded individuals, we support guilds at all stages of the game. 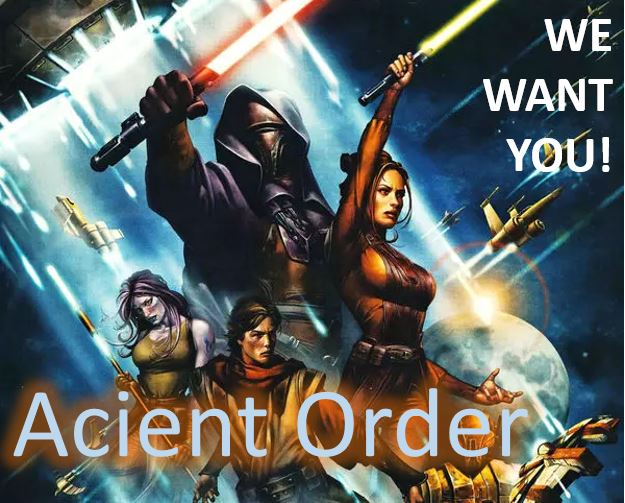 As a community oriented alliance, The Senate strives to be a welcome environment where players can feel free to dive into deep roster strategy, or just kick back and joke around with fellow Senate members. The Senate is a place where you can feel like part of a thriving group, and a place to call home. 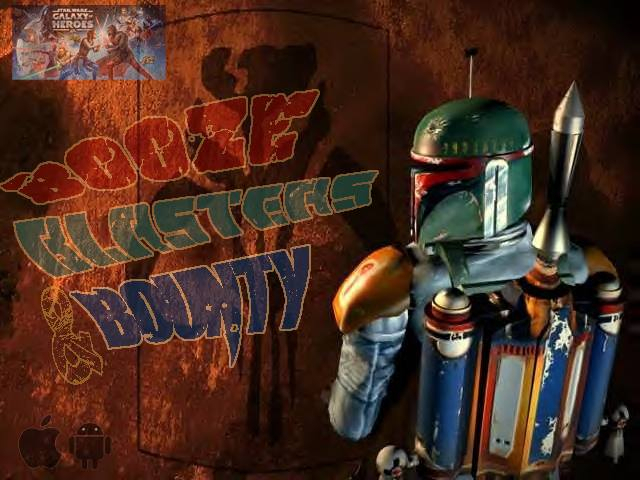 Booze Blasters and Bounty is seeking 8 active players to join our roster. Currently at 91 million GP. Hpit and Haat at least twice a week and working tier 6 sith. 29 stars on light side territory war but do not remember how many on last dark side. If you have any questions or interest, contact me in game at 267-713-465. We are currently looking for 1 new member. We just finished our first HSTR and we are launching again tonight. Looking to add 1 member with some HSTR teams. We are a Casual group but focused. GP: 81 Mil very active core. Min Requirements: 1.3mil GP preferred, but mainly need JTR or Revan or some other HSTR teams ready. Chairborne Rangers (currently ~68m GP with 37 people) want you to join us. 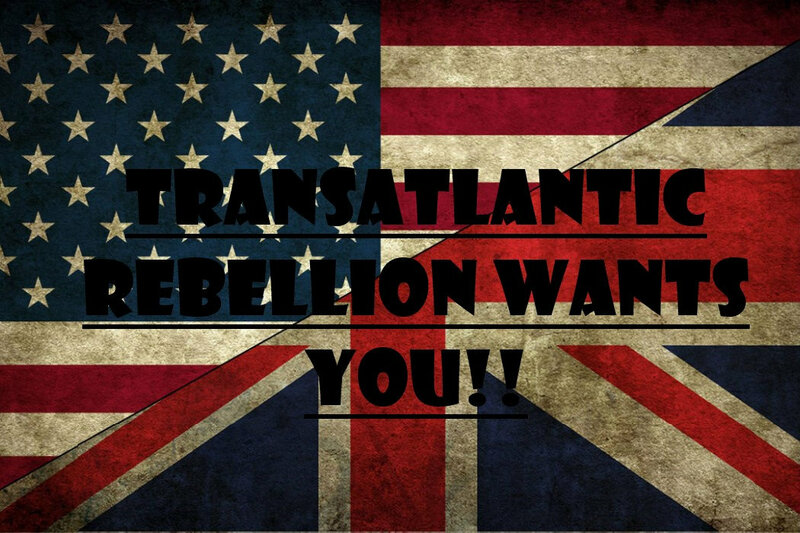 The Transatlantic Rebellion wants you!!! We are a group of active players from both sides of the Atlantic. We are building an active, committed but not overbearing Guild. Our current Goal is to get to 35+ stars in LSTB and DSTB. Our experienced players are happy to help with farming advice and guidelines to meet this Goal. FTP and PTP are welcomed. Die Holocron Secrets (<-- super Mannschaft!) suchen noch einen aktiven und kommunikativen Waffenbruder/-schwester für weitere Abenteuer! Zur Zeit liegen wir bei etwas über 120 Mio GM und hatten in den letzten TBs DS 40 und LS 38 Sterne. Full Heroic sind wir natürlich auch (HSR/HAAT/HRancor). Bei den TK liegen wir mit ca. 90% gewonnen Schlachten auch ganz gut und können in der Regel 2 bzw 3 Zetas mitnehmen. Was wir von dir erwarten sind ein gepflegtes Roster und 600 Tickets täglich, abgesehen von angekündigter Abwesenheit natürlich, ein echtes Leben ist durchaus erlaubt. Wichtig ist uns, dass du ein Teamplayer bist, auf den man sich verlassen kann, so wie du dich auf uns verlassen kannst. We are looking for 4-5 players who are HSTR ready. We are very close to completing but need a few more raid ready players to put us over the top. We do Hpit and HAAT a couple times a week each, TW and TB.600 raid tickets a day, discord and swogh.gg are a requirement. Please message me and link your swogh.gg account if you are intrested. Great group of extremely active players here! Missed hsith completion by only 20 percent, need a few to solidify the raid! 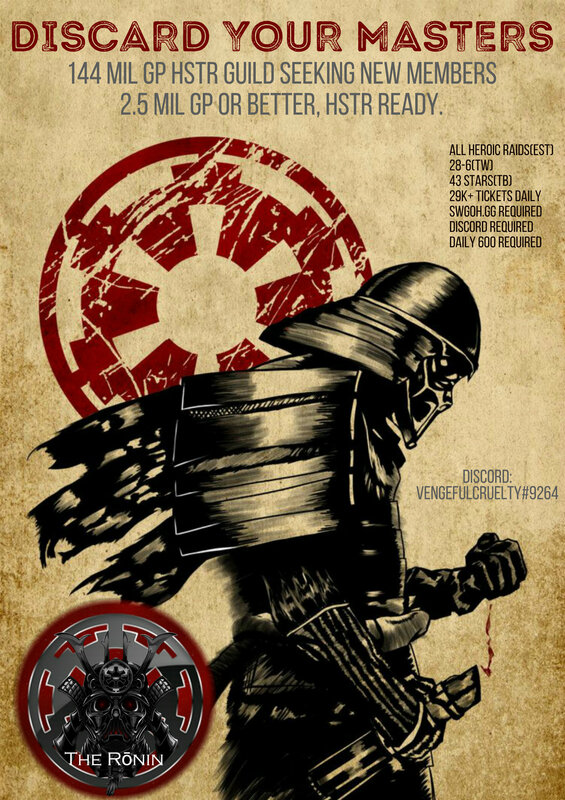 Separatists Reunited, independent 144m GP guild looking for two players. UK based guild with resets at 6:30pm UTC, but our players range from California through to Germany. HSTR guild, working hard towards reducing completion times. It took under 20 hours this time, and will only get faster as we grow stronger. Other areas: 40 stars in LSTB, 41 in DS. TW we have lost only once since the introduction of the faction bonuses. Older raids are on farm. No restrictions on participation once the 24-hour join period has ended. Launch times rotate to allow our non-UK players a chance to score: launches are between 7pm and 11pm, and times are always posted in the chat banner. I'm looking for a player with at least 2.5m GP, who uses Discord (or is happy to sign up), does their 600 every day, participates in TB and TW, and has at least one solid HSTR team. The GP limit is negotiable if you have focussed on the more useful characters. Message me in-game (545-458-779) or find me on Discord (RabbieBurns#4045). Brotherhood of the Darkness is a fully heroic guild and is recruiting HSTR, HAAT, HPIT, TB and TW focused players with a minimum GP of 2m, who are ready to compete with a very active and friendly, fun guild. Beyond Omega is a European guild, we are in the CET. We are looking for 3-6 players with pretty advanced rosters. We recently killed Heroic Sith, but only by use of Zeta Finn. We hope that this will not be needed on future runs, but the raid is definitely not on farm yet. - Prefer if you use swgoh.gg and discord, although we also have a facebook group if you want that. - Best if you are from Europe (or Africa) due to time zones, but everyone is welcome. The Corellian Refugees, an independent guild, has room for 1 new member before TB starts tomorrow! We're a relaxed yet dedicated group, free of drama. You'll find that we're more about community than we are compliance - rules are simple, and we succeed as a team. GP is 145M (at 49/50). 41 stars in both DS+LS TBs, with increases each time. Players who join tend to stick around - average lifetime raid tix = 250K+. 600 raid tix per day is appreciated, and most hit that mark, but try for at least the 540 free ones - the more tix we earn the more often we raid. We all have days when we miss it. Hit it the next! Guild activities reset at 6:30 PM US central time, and we launch raids at that time. All heroic raids are on farm and have a 24 hour join period so all can get in on the loot. 177mil gp UK guild looking to fill our ranks. We are 1 star short of maxing our TBs. TW focused. We have a twitch channel where guildies can show their GA encounters. Very adult, very entertaining. we use line to communicate but have discord for the bots. Looking for up to 10 individuals or a small guild to merge into ours. Recently removed a few people due to non-activity. Namely not joining the war or helping with the Sith Raid. Those are pretty much our only 2 biggies. We do have caps on pit and tank so our lower gp members can move up the ranks. Other than that we are committed to helping everyone grow. Current Guild GP is 75 Mil and growing. We are up for helping new people grow, but also aiming to hit HSTR so lvl 85 preferred, but willing to go lower for active player. 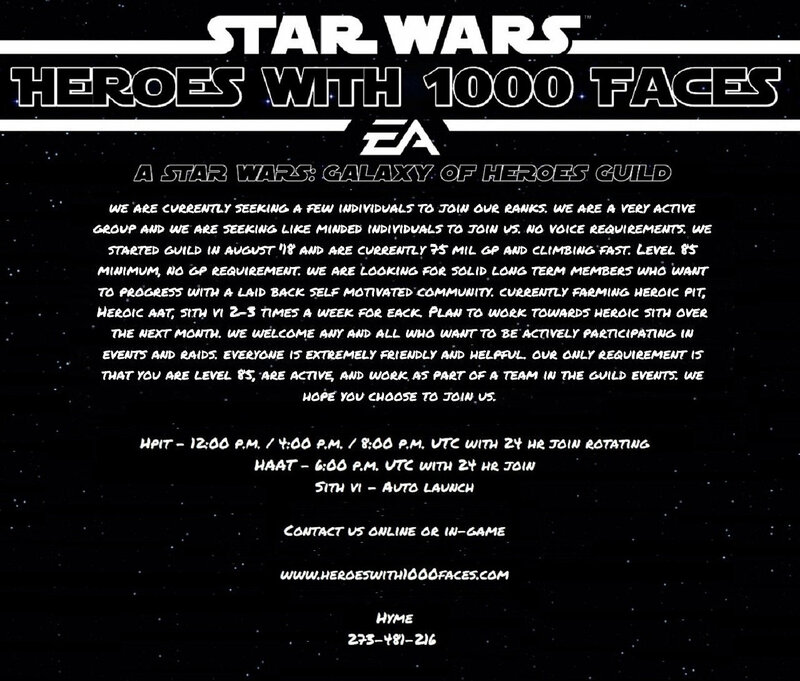 All current members are lvl 85 Heroic Rancor and Heroic AAT auto start as tickets are available. 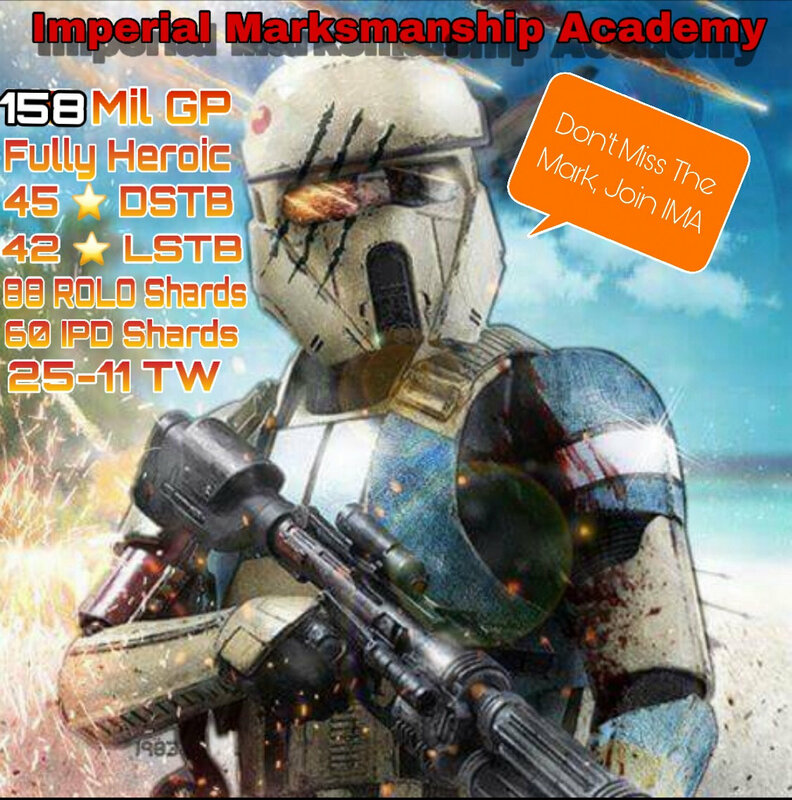 24 hr join on raids Sith Raid Tier 6. farming for 7 but not forced Come Join Us! We have filled up. We redo numbers every Sunday night and may have more spots next Monday.